Is your child going to enter BBC Radio 2’s 500 Words competition? Author and creative writing expert Christopher Edge shares his tips for planning a top-tier tale. Some authors plot their stories in intricate detail while others like to fly by the seat of their pants, making up the whole story as they go along! However, to make sure you know where your 500 Words story is heading, it can be helpful to come up with a plan. Think about the event that starts your story. This should be a scene or situation that kick-starts the plot. Maybe the hero of your story will discover a strange object or you could throw them into the middle of an exciting event like an alien invasion! Whatever idea you choose, make sure it grabs the reader’s attention. Now think about what happens next. How will your character get out of this situation? What other problems might they face? Make a list of the things that you want to include in your story. You could draw a flow chart with arrows to help you think about how these different events link together. Remember, you want to keep your readers on the edge of their seats so try and turn up the excitement factor as your story progresses. 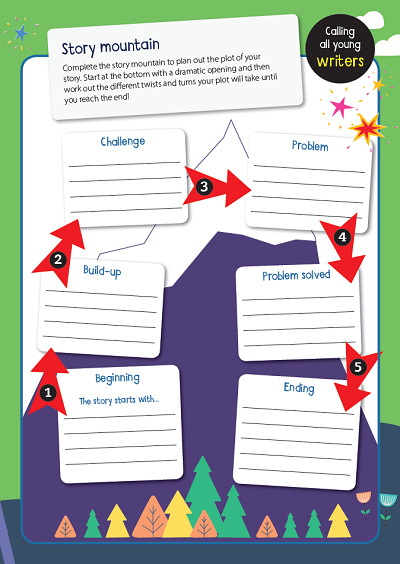 To plan out the plot of your story, download our BBC 500 Words story mountain activity sheet. Start at the bottom with a dramatic opening and then work out the different twists and turns your plot will take until you reach the end! For more information about the 500 Words competition, visit our BBC 500 Words page. 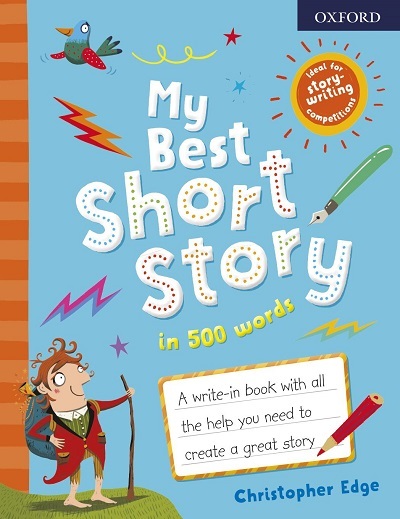 A must-have write-in book for kids to put down their ideas, set the scene, choose their characters and craft their best short story in 500 words. With colourful illustrations throughout, it has prompts and ideas for building plot, action, characters and scenes. It also has suggestions for beginnings and endings to help children who are looking for a starting point. Christopher is an award-winning author whose books have been translated into more than twenty languages. As well as writing fiction, he has created several inspirational guides to get children and teenagers writing.